Crackajack Sportfishing Adventures is an adventure which will give you a great experience in fishing in the best places with Captain Todd Eveleigh – Hinchinbrook shires resident full-time salt water fishing guide. Todd has a vast amount of experience in tropical sportfishing and as a fishing writer keeps anglers abreast of current happenings around Lucinda and in the Hinchinbrook Channel. This charter will let the anglers experience some of the best North Queensland sport fishing as well as top Australian salt water fly fishing for Barramundi in a true mangrove wilderness. You can also witness the scenic coastline with the backdrop of Hinchinbrook Island, the worlds largest oceanic Island National Park with its breath taking rainforest, rugged mountain peaks and water falls. We also provide reef or blue water sport fishing charters in the Great Barrier Reef, micro jigging, popper fishing, trolling or bottom fishing the reef. This business is no longer operating. Inclusions: all meals, dive tanks and weight belts are supplied for the divers. Booby Bird has been operating out of Gladstone Marina for over 21 years. The charter aims to provide their clients an enjoyable, fascinating and memorable fishing and diving experience with us. In addition to that, the charter also provides a knowledgeable skipper that will help and guide their clients to the right destinations. An80 foot vessel namely BOOBY BIRD is used to carry their passengers to the perfect spot for their trip. It is powered by a 425 horsepower engine, a desalinator and has 2 AC generators. 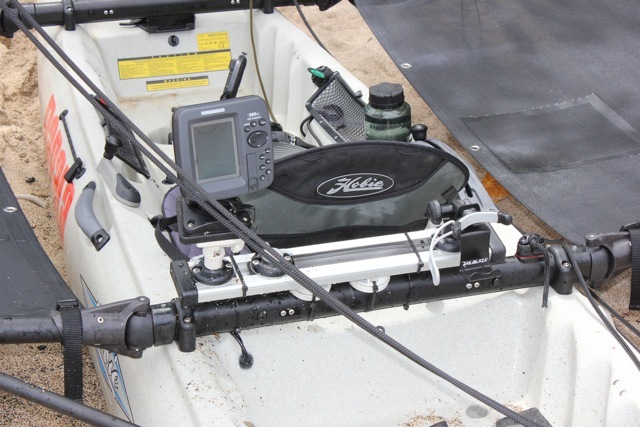 12 channel GPS receiver hand held marine radios and Eagle Cuda 300 fish finding sonars are also equipped in the vessel. Moreover, to give comfort to the charters customers, the vessel is also equipped with air-conditioned cabins. Televisions, CD players and Video are also equipped in the boats to keep the clients entertained while on board. Cushy Fishing Charter is a charter which is operated by the owner Kyle Cush who has been fishing and diving locally for over fifteen years to ensure that you will have a great and unforgettable experience while staying with us. 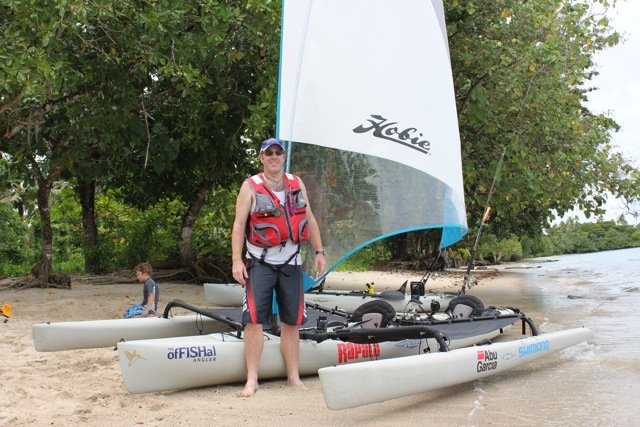 Our experienced skipper and crew are professional in providing you with a very fun and safe day out on the water. Whether you are a first timer or an expert dangler everyone is welcome and we are very happy to share our fishing knowledge with you. An 11 metre REEF HUNTER Stebercraft Fly bridge Pro-fishers powered by a 375 horsepower/3208/V8 Caterpillar Turbo Diesel is used to carry out their passengers on their desired trips booked with the charter. 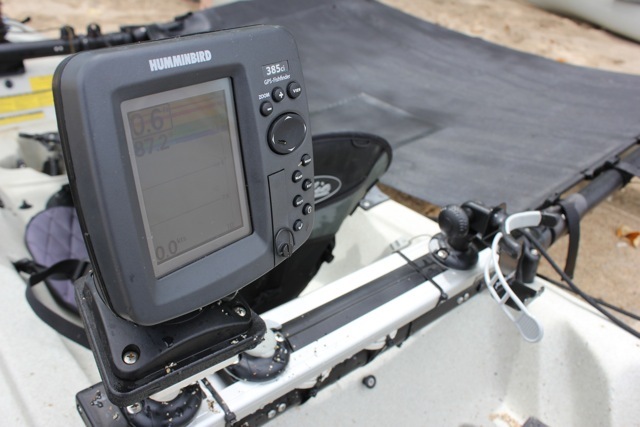 The said vessel is equipped with latest fish finding equipment and GPS technology which are a great help in fishing. Furthermore, dinette, steering wheel, galley and a toilet is also found in the said boat. To insure the clients with their safety while on board, Reef Hunter is licensed, fully insured and surveyed charter fishing boat CFB 12840. Available Species: Giant Black Marlin, Blue Marlin, Small Marlin,Wahoo, Mackerel, Barracuda, Dolphin Fish, Pacific Sailfish, Giant Trevally, Queenfish, Tiger Shark, Red Emperor, Coral Trout, Sooty Grunter, Mangrove Jack and Tunas Inclusions: Fishing equipment (international standard), all meals on board, experienced crew (minimum of 3), staterooms fully air-conditioned (with ensuite, TV/stereo/video, ice-maker, etc. ), 1st class accommodation, highest standard meals (qualified chef), all drinks (open bar), scuba & snorkelling equipment/dive compressor, laundry facilities, water-skiing, seaplane transfer communication facilities. Cairns Reef Charter is hosted by Captain Peter B. Wright who has fished around the world for marlin. He is the sports fishing columnist for Motor Boating & Sailing Magazine. He had won dozens of tournaments for catching more marlin over 1000 pounds than any captain in history besides catching numerous world records. Cairns Reef Charter offers world class boats, friendly and expert crews and of course an unbeatable environment to be with. The charter can arrange the appropriate types of boat to fish any tournament or location on the East Coast of Australia. Our charter has boats for sailing, snorkelling, cruising and diving the Great Barrier Reef to suit individuals, groups or couples. Designing a package for you or your clients including tours, car hire, accommodation, domestic travel Australia wide and airport transfers can be also arranged for you by our inbound operation. We also have seaplane and helicopter to fly to the Great Barrier Reef to organize specialized photographic and scenic flights. Things to bring: Rod, Reels, Lines, Hat, Long Sleeve top long pants, Backpack, insect repellent, polarised sunglasses, sandshoes, small tackle box and digital camera. The Boomerang Sport Fishing Charter is owned and operated by Russell and Annalies Player since the charter was established in the year 2005. The couple have vast experience in fishing especially in fishing locally. Thus, with the help of their great experience in local fishing, it will assures their clients to have an energetic, full of information and memorable fishing trip in their life. A 65 ft. motor vessel namely BOOMERANG II is used to carry their passengers on their seven day tour. The vessel is equipped with a 6 cylinder Gardner Diesel which is the main engine of the vessel, 2 toilers and 1 hot and cold shower. In addition to that, to give comfort to the passengers on board, there are cabins which are both air conditioned. Available Species: Coral Trout, Nannygai, Spangled Emperor, Red Emperor, Fingermark, Sweet-lip, Cobia, Sailfish, Spanish mackerel, and Giant Trevally. Available Species: Finger Mark, Queenfish, Barramundi, Mangrove Jack, Trevally and many more. Inclusions: Rod, reels, live bait and tackle, Light Refreshments, Lunch and Sunscreen are also provided. Blackout Sport fishing Charter is owned and operated by Kerry Bailey. He is also the skipper of the charter who guides his clients on board during their trips. Furthermore, Kerry has worked in fishing industry for many years and as a result, this experience gave him vast knowledge about fishing. The charter is operating their available tour trips around Cairns. Blackout Sport fishing Charter is also offering some fishing trips aside from the tour packages given below. These fishing trips are Wreck Bumper Barring, Deep water Bat Fishing, Jigging, Pelagic Trolling, Live Baiting, Lure Casting and many more. The charter aims to give the best fishing trips with their customers. A 6 metre Badjcraft Custom Aluminium sport fisher, BLACKOUT, is used in carrying their clients on respective tours. The vessel is powered by a Suzuki 140 4 for fast and comfortable trip. Your skipper Kerry will assure the safety of the clients while on board. Tour Description: Departing from Magnetic Island is approximately 1 hour ride to reach the so called “an uninhabited Island” which the Acheron Island. This tour will help you shortened your travel to Great Barrier Reef by just passing the Acheron Island.Spending times with family or with friends with this tour will assure you a unforgettable day with full relaxation and adventure that will you will treasure. Tour Description: This tour includes traveling around the island to get a chance to experience to see the beautiful granite boulder scenery and take time visiting the beaches in the Island. Skippers are present in order to guide their guests on board and assure to give their guest a memorable and unforgettable tour with the charter. Things to Bring: Swimwear, Towel, Hats, Sunscreen, Camera, Sunglasses, and Sensible Clothing for sun protection. Guests can also bring alcoholic drinks if they want. Bringing your own fishing equipment is also welcome. Aquascene Fishing Charter is owned and operated by Adam and Stephanie Hinks who has been living at Magnetic Island for over 20 years until their family grow. Furthermore, have 23 years of experience in local fishing and cruising around the area and he operates his Professional Fishing Operation. The vessel used is fully equipped with the necessary equipment needed during the tour. Legend Charters provides game fishing; bottom fishing; diving; sightseeing; and whale, penguin and bird watching. Fish commonly caught in the Portland area include Southern Blue Fin Tuna, Albacore Tuna, Kingfish, Snapper, Flathead, Whiting, Calamari and Sharks. Charter Inclusions for free: Quality fishing gear supplied. Bait and ice are also included. Food and drinks are provided by arrangement. Our Skipper, Nigel, has more than 12 years sea time; including charter fishing and trawler fishing in Portland and other areas around Australia. Nigel has extensive local knowledge of the Portland waters and fishing grounds. Our vessel, “Legend I” , is a 30ft Skipper craft, purpose built for the coast guard, with maximum stability. Features include a wide beam, seating and undercover area, as well as top of the range modern navigation equipment.